Sometimes you just get Lucky. 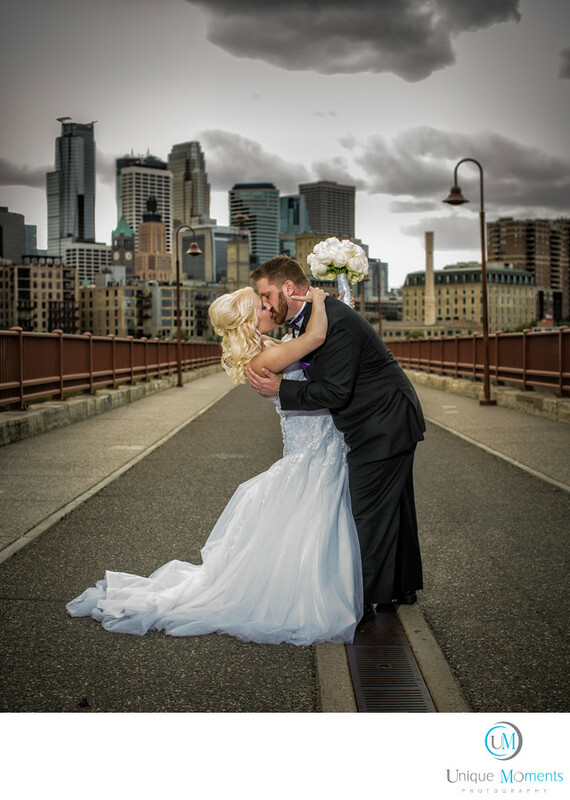 Unique moments Photography originally started our business in Minnesota in 2007. We have been to Stone arch bridge Numerous times. Usually the place is packed and its difficult to get images with out a bunch of people in them. We came over from the profile event center for a few images. Walked out on the bridge and Bingo everyone disappeared. A Storm was starting to blow in, no rain, but the bridge was pretty empty. We took about 10 shots and headed to the park before it started to rain. This images is as close to straight off the camera as you can get. Off camera flash to camera left and time to go. Location: 100 Portland Ave, Minneapolis, MN 55401.